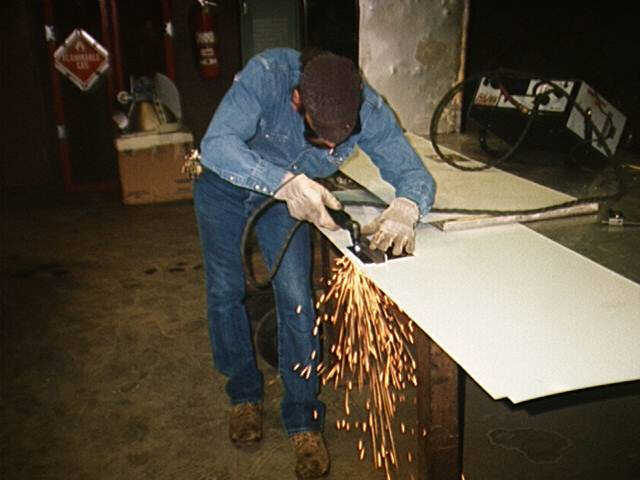 This is Lee Jozwiak, an Amtrak Sheet Metal Worker Technician in the Bad Orders department, using the Plasma Cutter. Lee mostly works on special and specialty projects. The sheet of metal will be used in the repair of a door on a food service cart. The slot being cut is for the door handle.